Bring on barbecue weather! Roast some corn with your grilled meat! Jump to Recipe While corn isn’t quite in season yet, the emerging Spring sunshine has me thinking ahead to summer barbecues and the taste of sweet corn. 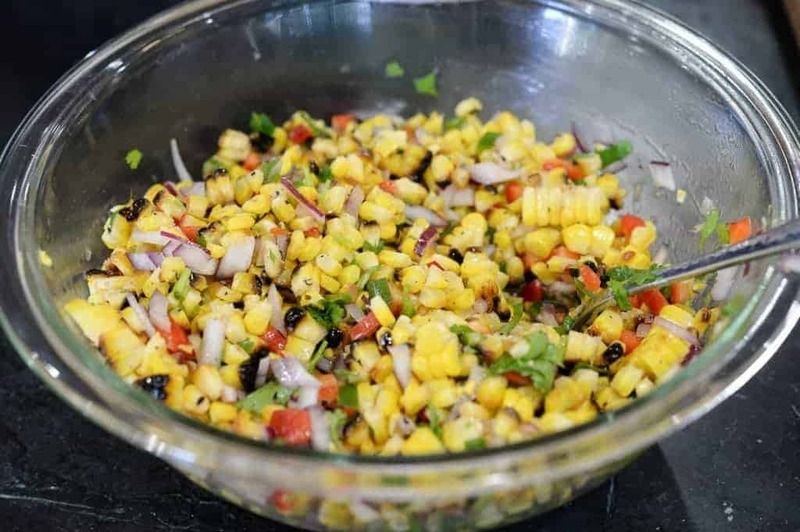 Making up a batch of roasted corn salsa is a great way to get a jump start on enjoying those summer flavors. Corn salsa is more versatile than you might expect. Use it in a taco, or pair it with grilled meat of any kind. This salsa is the perfect complement to a barbecue-centered meal. 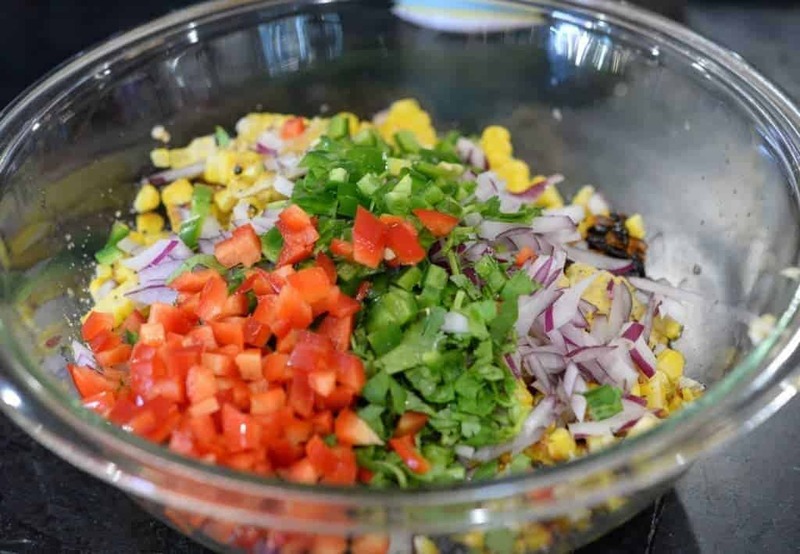 This Corn Salsa is amazing with anything grilled. Need some taco inspiration? Try our Carne Asada Tacos with Chipotle Crema…and yes, Corn Salsa! At Beast Bowl Nutrition we’re always playing with food. Heck, we’ve all gotta eat, right? Why not make it a creative adventure. Share that adventure with us. If you haven’t already, sign up to receive our twice weekly email updates. Make sure that you don’t miss a recipe! Crunchy, sweet and spicy roasted corn salsa. Roat corn at 450℉ until kernels are charred. Remove from oven and let cool. Chop and dice all vegetables and add to a large bowl. Cut kernels off of corn and add to salsa. Add lime juice, olive oil, cumin and salt and pepper to taste. Yum, minus the cilantro, just how I roll.